It’s almost smoothie season, my friends! Not that we don’t enjoy smoothies year-round, but they are extra refreshing when the weather is hot. 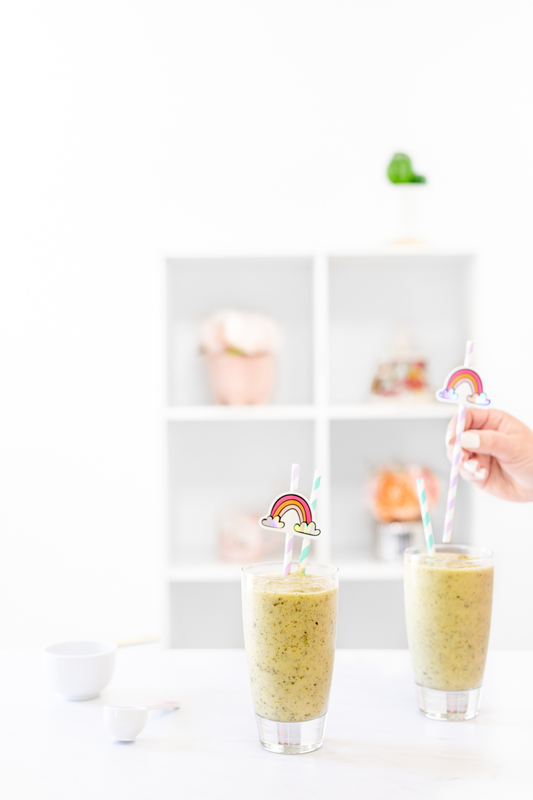 Smoothies are easy to make, filling, completely delicious, perfect any time of day, and something the whole family enjoys. A good green smoothie is basically welcome any time and now we have a totally fuss free ingredient to make the whole process a no brainer! Grab a straw and keep reading, friends! 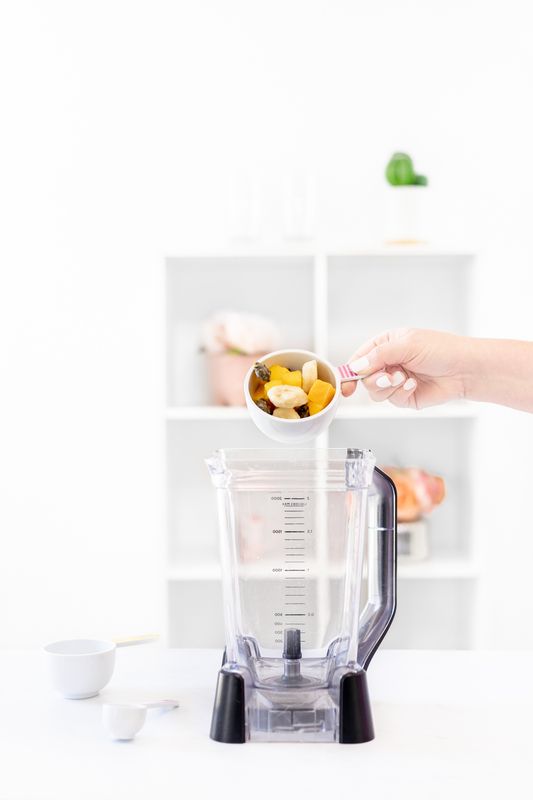 If you’re a beginner at smoothie-making, I have a tip for you to make super flavorful smoothies with ease. For the most flavor and best texture, skip the ice cubes and use frozen fruit or veggies instead. That way, the ice doesn’t water down the taste, and you get that smoothie and slushy consistency we all love. Next smoothie hack for beginners? 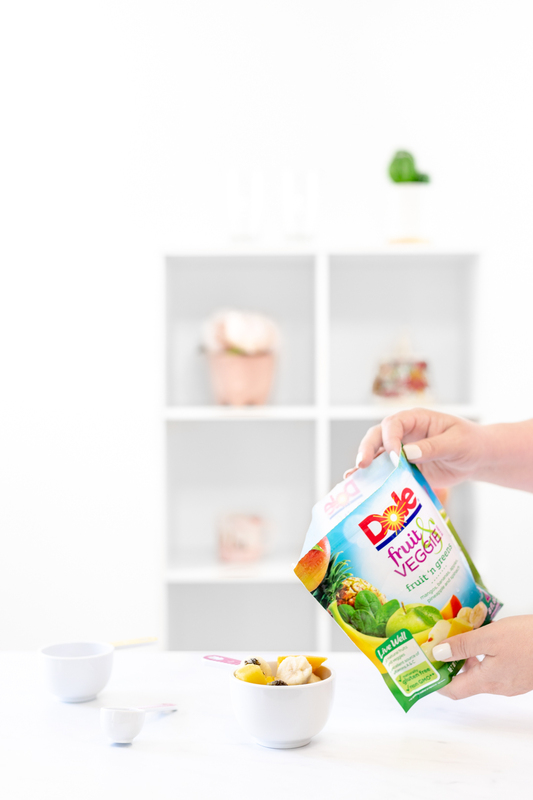 It’s extra easy to stock your freezer with DOLE® Frozen Fruit for an easy solution. 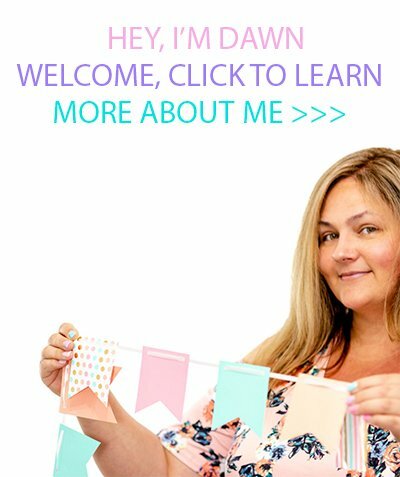 They have so many options to experiment with and I’m loving their perfect ready-to-use blends. They do the work for us by combining our favorite fruits and veggies that the whole family goes bananas over! 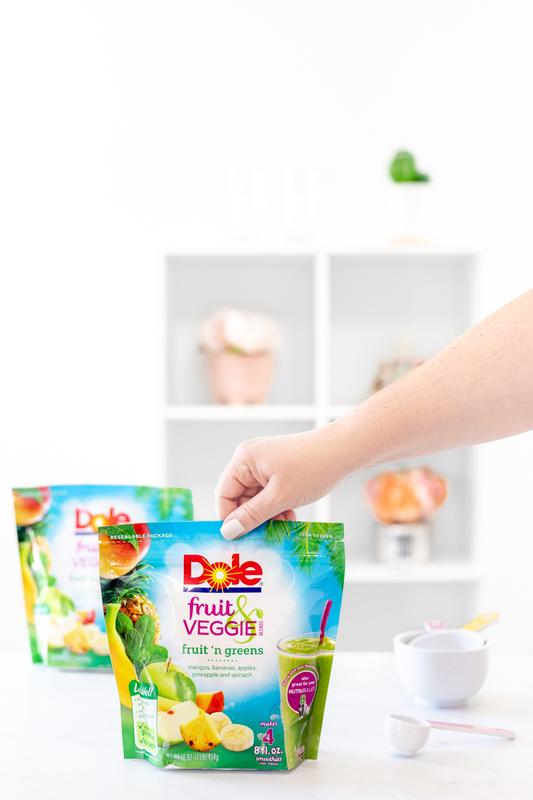 You have to try my newest smoothie creation using DOLE® Fruit & Veggie Blends: Fruit ‘n Greens. The flavors are beyond refreshing, and it’s so easy to whip up making it so perfect for beginners. To make your green smoothie extra smoothie-rific, start with frozen fruit. DOLE frozen fruit is an excellent choice because it’s picked at peak ripeness. Using frozen fruit also creates less waste since it doesn’t spoil like that apple that’s been on your counter for two weeks now… yeah, I see you. 😉 DOLE frozen fruit is non GMO, all natural, and naturally gluten-free. So, stock that freezer and let’s get to smoothie-making! These easy ingredients make up one smoothie and they’re easy to double up! The rest is even breezier. 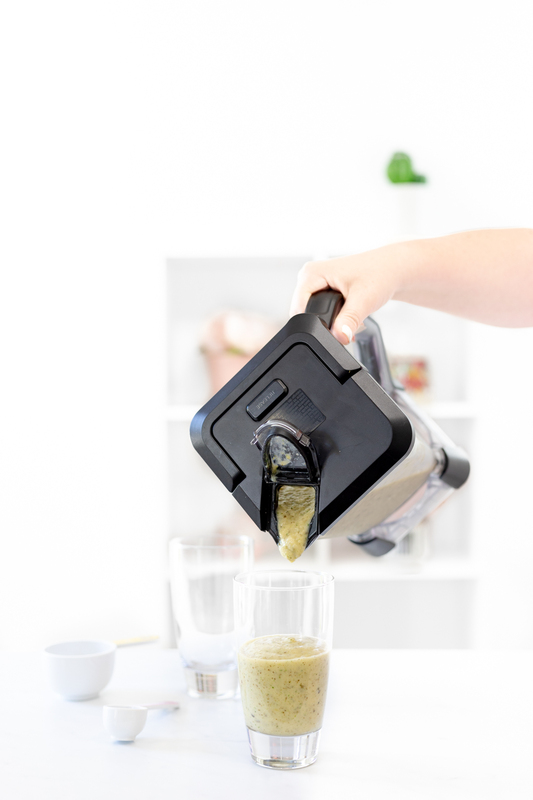 You simply add all of your ingredients to a high powered blender until fully combined. I blended for about 30 seconds on low to get my perfect desired consistency. Pour into a glass or your favorite on-the-go sipper. Top with mint if you feel a little fancy. 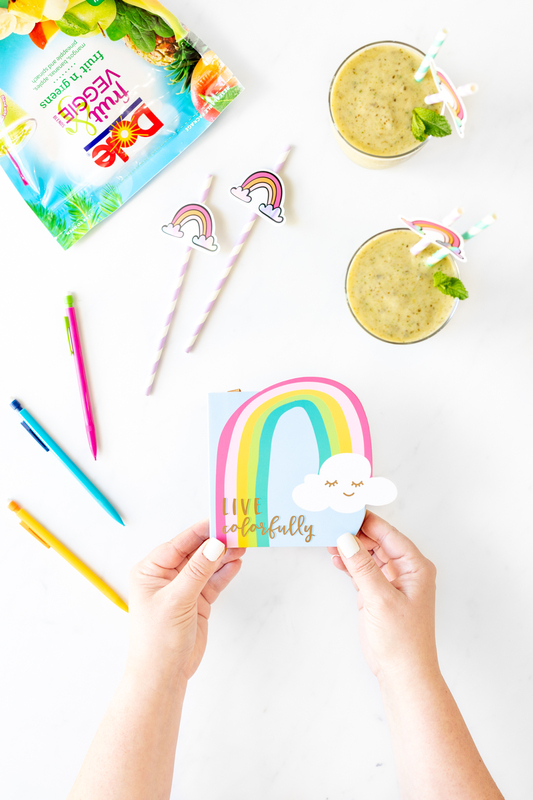 A cute straw is an added bonus if you ask me! DOLE® Fruit & Veggie Blends: Fruit ‘n Greens is available nationwide! 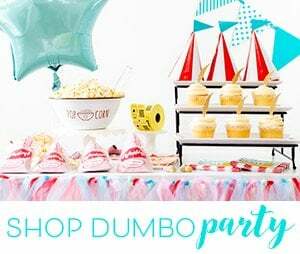 Find at your local Walmart, Publix and more! 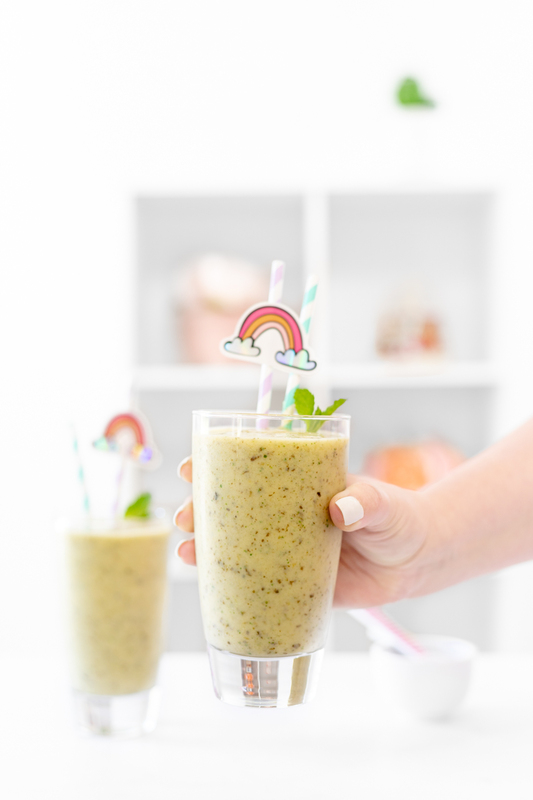 Feel refreshed and recharged as you sip this scrumptious, wholesome blend of mangos, bananas, apples, pineapple, and spinach. Enjoy a great smoothie every time with DOLE frozen fruit.